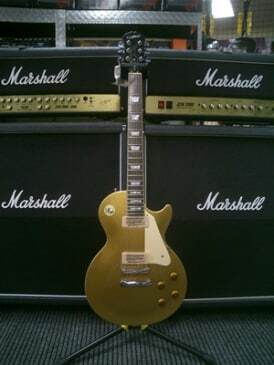 The Les Paul boasts one of the most timeless designs ever, but these days, a vintage Paul costs as much as a new BMW or a top-of-the-line Bentley. 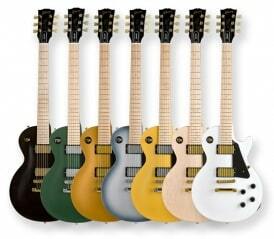 Fortunately, Epiphone makes a wide variety of genuine Les Paul models that are priced well below the monthly payment on a luxury automobile. Like a classic Les Paul, the Les Paul Studio Chameleon comes with a pair of humbuckers (Alnico Classic HBs) and features a set in mahogany neck with a rosewood fingerboards, 22 frets and a 24 ¾ -inch scale. 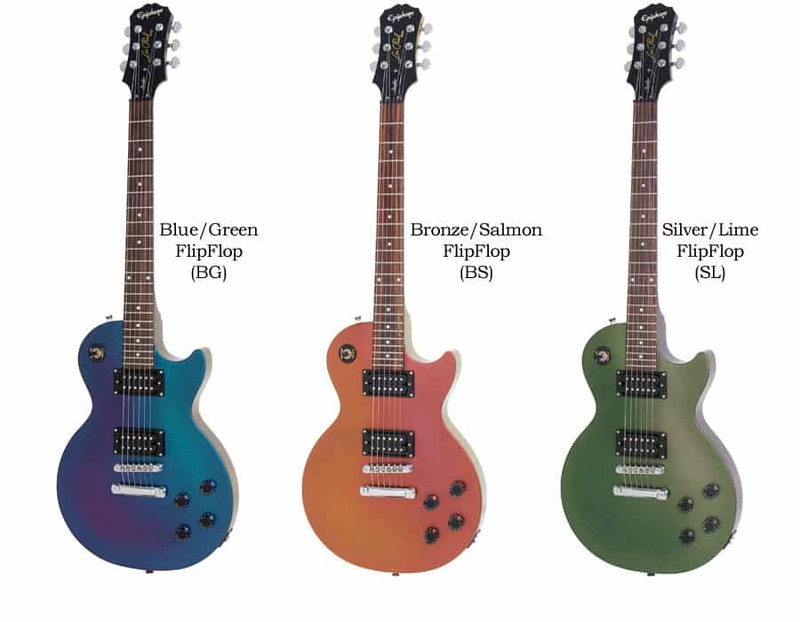 However, the mahogany body boasts a metallic iridescent finish that changes color depending on how the light hits it, just like those cool, custom paint jobs you see on hot rods and custom Harleys. 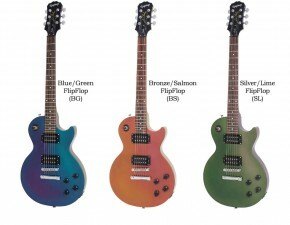 Just because it’s a low-cost guitar doesn’t mean that you have to sacrifice flash and style! Elsewhere the cosmetics are stripped down: the fingerboard has dot inlays; there is no pickguard, pickup covers or binding: and kidney bean-shaped Grover tuners replace the fancier Kluson tulip-style pegs. But with features like speed knobs and a chrome-plated stop tailpiece and Tune-O-Matic bridge, the Les Paul Studio Chameleon still offers plenty of visual and high performance appeal. Thanks to its fat mahogany body and humbuckers, this guitar sounds like an extra-beefy SG with less bit than a maple-topped Les Paul. It produces ample warmth and sustain, with just the right amount of darkness for brutal metal rhythm playing. The midrange is as thick and meaty as Britney’s postpartum paunch, the bass is big and beefy and the treble is razor sharp, yet full and well defined. Spending less money on a guitar often feels like a compromise, but with its eye-catching looks and ear-pleasing tone, the Epiphone Les Paul Studio Chameleon feels more like an upgrade. 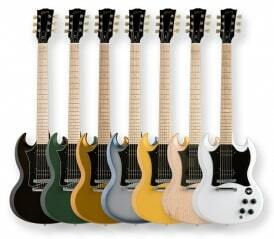 Discuss Gibson and Epiphone guitars at our guitar message forum @ www.gear-monkey.com : Guitar Talk.